Evaporation is the process of a liquid becoming vaporized. In other words, a change in phase in the atmosphere occurs when substances change from a liquid to a gaseous, or vapor, form. 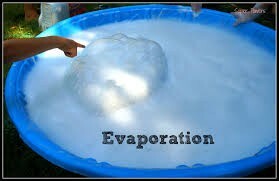 Because we are talking about atmospheric processes that drive the weather, we will refer to the evaporation of water although other liquids can evaporate into the air. This shows how runoff works going to the lake. 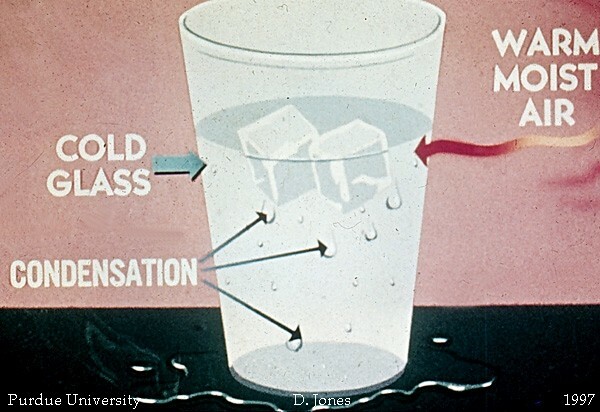 It shows that condensation can happen on your glass. 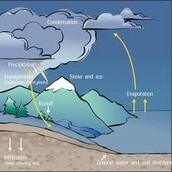 Rain, Snow, Sleet, and Hail are forms of precipitation. 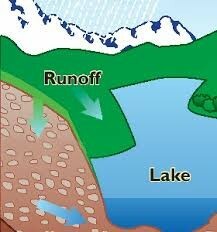 Evaporation is an important part of the water cycle because evaporation helps get water into the air which helps deliver water in the form of precipitation. It makes clean water to drink.